Located on the Central Coast of California halfway between San Francisco and Los Angeles, San Luis Obispo (SLO as we locals refer to it) is home to Cal Poly and an extensive trail system. Cuesta Ridge, a roughly 2,000-foot-high narrow strip of coastal chaparral that is part of the Los Padres National Forest and the Irish Hills are located respectively northeast and southeast of the city. Together, they form a valley containing the trappings of SLO’s civilization. Running the length of the valley is an ancient chain of volcanic plugs known as the Nine Sisters (or seven depending on who is counting) with summits rising 500 to 1,500 feet above the ocean that laps at their northwest terminus. Perhaps the only thing lacking from the SLO trail system is more a than few miles of flat trail, but plenty of back roads and quiet side streets are available when one feels the need for a fast tempo run or an easy recovery day. With a permanent Mediterranean climate and multiple trails systems located both in the middle of the town and in the surrounding hills, it’s no wonder that Running Warehouse is based out of San Luis Obispo. An active community of climbers, cyclists (HTC-Highroad was based out of SLO until it dissolved in 2011), triathletes, road runners, trail runners, and ultrarunners keep the Strava segments competitive and the local community has supported and protected its open spaces and continues to improve and expand its trail systems. Check out the SLO Trail Runners club on Facebook for group runs and more information on the trails. Named for its rocky summit that resembles a bishop’s mitre, Bishop Peak at 1,559 feet is the tallest of the Nine Sisters and is a popular hiking, climbing, and trail running destination located only miles from Cal Poly on the outskirts of the Highland neighborhood–be forewarned of the college crowds on the weekends. Three separate trailheads offer routes that meet up and tackle the steep and rocky 1,200-foot climb to the summit. Outings can be extended by taking the 2.5-mile Felsman Loop that meanders through the lower canyons passing through chaparral, oak woodland, and coastal sage scrub on open space just north of the peak . The Felsman Loop is a 2.5-mile loop at the base of Bishop Peak with 700 feet of climbing. Take the loop counterclockwise for gradual climbs and steeper descents or switch it up for the opposite. Park near 850 Patricia Drive to avoid the crowds at the main Bishop Peak trailhead (where Highland Drive dead ends). Bishop Peak is a steep 4 miles roundtrip with 1,600 feet of rocky switchbacks. Combine it with Felsman Loop for a longer outing. Parking can be found at the dead end of Highland Drive or for a steeper scramble and some powerhiking terrain there is a parking area on the right side of Foothill Boulevard as you leave town. Cerro San Luis is largely private property owned by the iconic Madonna Inn, but they have graciously allowed public access to the peak and a network of singletrack and dirt road offers multiple loops and paths to the summit. At the base of the peak is the Laguna Lake Open Space that offers some of the only flat dirt roads and trails in town. The Lemon Grove Loop is property of the city and offers rolling singletrack along with a trail to the large painted “M” on the mountain. Inside tip–the letter stands for Mission Prep High School, not Madonna as many people think. Park at Laguna Lake Park and follow the paved path and dirt trails around the perimeter of the open space for a flat 2.5 miles with stunning views of Cerro San Luis and Bishop Peak. From the parking area at Fernandez Road, follow the gravel road from the trailhead and take your first right on the Lemon Grove Loop singletrack. Keep the mountain to your left for a 3.7-mile loop of the mountain with 900 feet of gain. Bordering the northwest edge of SLO is a hill that has as many names as trails: High School Hill, Lookout Hill, Murray Hill, or simply Tower–no matter what you call it you’re in for some serious powerhiking on these trails. Three trails ascend from town and climb steep and loose singletrack and power-line access roads to the top of the ridge. From the backside of the hill, Reservoir Canyon follows a stream bed for a mellow mile before climbing out of the stream bed two miles past a collection of metal sculptures and an amazing tree swing before taking a steep beeline to the summit. An iconic orange lookout tower and a curved stone bench mark the two ends of the ridgeline and are well worth visiting. Respect the wishes of the private-property owners and do not continue east on the ridgeline past the high point of the stone bench. Park at the dead end on Reservoir Canyon Road, just north of town off Highway 101, and follow the out-and-back trail as far as you desire. The shaded trail climbs gradually for the first 1.25 miles following the all-too-often dry creek bed before climbing more steeply. A quarter mile of switchbacks brings you to a grassy opening with expansive views, a tree swing, and a collection of scrap-metal sculptures. From here it’s a little under a mile and 1,000 feet to the summit via a steep, rocky trail cut through the thick chaparral. All three trails from town offer steep, loose, and rocky footing and take that East-Coast-non-switchback approach heading straight up narrow gullies and ridgelines. Here provides perfect training for long races with sustained climbs and a good place to work on powerhiking steep trails and bombing down technical descents. To the southeast of SLO, Johnson Ranch and the Irish Hills have recently been connected with a singletrack trail and trail construction is ongoing to expand and improve the network that currently offers close to 15 miles of trail. Irish Hills is predominantly thick chaparral and the trails visit a number of old manganese mines from World War II, while Johnson Ranch offers smoother, exposed dirt trails and rolling hills. Trail signs are confusing and mostly lacking in this area, and with new trail construction continuing it can get a little confusing–take a GPS or make sure to note the trail intersections with care. Take South Higuera Street south from town until passing underneath Highway 101 and the parking lot for Johnson Ranch is on the right. A 3.7-mile loop that can be shortened via the cutoff to 2.5 miles, and both offer gradual climbs on smooth singletrack through rolling grassy hills with rocky outcroppings. Park at the Devaul Ranch trailhead and follow the Mariposa Trail (very steep) to the Poppy cutoff for Froom Creek. Drop down the canyon to the bottom and take a left through the gate to wrap back around to your car. Roughly 5 miles with lots of options from the top of Mariposa to tag on more miles. Be warned that Froom Creek bakes you dry on hot sunny days. Look for the small, dirt parking lot off Prefumo Canyon Drive just north of town. From the trailhead climb up either Bog Thistle or Mariposa, tag the Morro View outcroppings for some extra climbing, and drop down Froom Canyon. At the bottom of the canyon cross the stream bed and climb back up on Old Prospect, a hike-and-run-only trail that connects to Ocean View. From here you can drop down to the fire road and take the Johnson Ranch-Irish Hills Connector and take a loop around Johnson Ranch and then retrace your steps back to your car for a solid 15-plus miles of challenging, rocky trails with lots of elevation. For a shorter, still-challenging day, take the Wednesday Trail to Ocean View and retrace your steps back up Froom Creek. Be warned that Froom Creek has a reputation for being a solar oven. Cal Poly’s large agricultural landholding offers miles of singletrack and dirt road easily accessed at the edge of the campus. The Poly Canyon loop is a roughly 8-mile loop on dirt roads through the beautiful foothills that is popular with not only the DI cross-country team but also ultrarunners who use the loop to access trails that climb higher and further toward Cuesta Ridge. The architectural graveyard is a short but fun run that takes you to the mouth of Poly Canyon. Take the Poly Canyon Road, a dirt road with a white gate, off of Village Drive on the Cal Poly campus. Follow the gradual dirt road to the prominent tree in the middle of the road and look to your left for the stone arch to explore the architectural graveyard, take the singletrack before the stone arch to loop back on the Brizzolara Creek Trail, or for a not-so-easy-at-all option, take the bridge across the stream for a steep and rocky climb above the Cal Poly “P” before dropping down past it to make a loop. Take the Poly Canyon Road, a dirt road with a white gate, off of Village Drive on the Cal Poly campus and stay on the main dirt road past the farm house. Be sure to close all gates as you wind your way up toward the train tracks. Once at the obvious trail crest near the train tracks, head left for the rocky outcropping and take the gate to stay on the main dirt road. This connects to Poly Canyon Road at a barn, hop the green gate and cruise the smooth dirt downhill back to campus for roughly an 8-mile loop. From the trail crest at the train tracks described in the moderate trail description, cross over the tracks to take the Yewks Trail to the Eucalyptus Grove. From here, there are challenging loops that climb to ridgeline and the visible radio towers via Shooters or Morning Glory/Botanical trails. Lots of options for some serious climbing and all-day adventures. Only six miles north of SLO off of Highway 101, Cuesta Ridge is a 2,000-f00t-tall narrow strip of chaparral that is part of the Los Padres National Forest. Parking is available at Cuesta Pass on the 101 and the once-paved road to the west allows access to the prominent radio towers and miles of technical singletrack that drop from the ridge toward Cal Poly. The adventurous can follow the ridgeline road 10 miles to Cerro Alto Peak, the highest point in the county. (The peak can also be accessed via its own local trail system.) To the east and on the other side of the highway, a gated dirt road climbs into a beautiful pine forest and takes you to the highest elevations near San Luis Obispo. From the publicly accessible terminus of the road at 4 miles, singletrack trails drop further into the national forest and offer routes that can easily push 20 miles one way with over 5,000 feet of cumulative gain. From the Cuesta Pass parking lot, follow the potholed road and take the dirt-road cutoffs for some extra fun on the climb to the radio towers and revel in the amazing views. This is possibly the best place in the SLO area to watch sunsets. (Just be sure to remember a headlamp for the way down.) Retrace your route for a moderate run that’s a little under 6 miles. Park at Cuesta Pass, or for those seeking extra miles and elevation, park at the bottom of Stagecoach Road off of the 101 (be careful, the turnoff is easy to miss), and take the dirt road to the radio towers. From the radio towers, drop down Botanical to Morning Glory, then climb out of the Eucalyptus Grove via Shooters and drop back down to your car for some solid elevation and fun singletrack. For the adventurous, stay on the dirt road past the Radio Towers for another 7 miles to access Cerro Alto. Only a short drive from San Luis Obispo, Montaña de Oro State Park sits directly on the coast and is a favorite spot to log long, elevation-filled runs. Coastal Trail Runs puts on multi-race-distance event in January that offers a great cross section of the park’s trails. Pacific Coast Trail Runs hosts a similar race in August. Fifteen miles west of SLO is Lopez Lake. Although hard hit by the ongoing drought, the dusty singletrack roller coasters along the edge of the lake is always a fun trail. Twenty-five miles away, Santa Margarita Lake offers smooth doubletrack around the lake shore and steep backcountry singletrack. The nearby coastal community of Morro Bay has a small park with short, punchy climbs including a trail to the high point of Black Hill (661 feet). Be sure to check the rocky outcroppings for rock climbers and to enjoy the diverse birds. The surrounding estuary provides protected bird habitat in the Back Bay area. A half day’s drive takes you to the southern end of Big Sur. Trailheads abound in Big Sur, but be prepared to battle the poison oak for what are some of the most amazing coastal views in all of California. Use the link below to access the most comprehensive map of the area and start planning some adventures. Cone Peak offers a 5000-foot climb on a 22-mile out-and-back that is great for backpacking or long trail days. The nation’s newest national park is only two hours north, and offers trails both through caves and onto to thin, rocky ridges where California condors can be spotted riding the thermal updrafts. Ultra SLO is debuting a three-race series (10k, 25k, and 50k) on the local trails and looks to be a race series well worth traveling for. The Mountain Air, located in downtown SLO, is the local mountain shop for all your hiking, running, climbing, fastpacking, and backpacking needs. 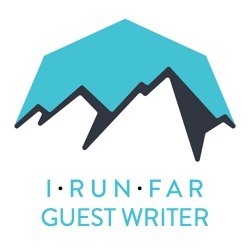 Running Warehouse is based in town and has a retail location where you can get most any running shoe on the market from the most minimal to the super cushioned along with all your race fuel needs, running clothing, and running vests. For your pre-run caffeine needs, you’ve got plenty of good options from the modern Scout, the classic Linnaea’s, the hole in a wall Bello Mundo. Oh and there’s also Kreuzberg, Blackhorse, Steynberg, and all the normal chain options as well. We like our coffee in SLO almost as much as we like our beer. For the post-run beer, check out Central Coast Brewery, Tap It, Barrelhouse, Libertine Pub (amazing sour and wild fermentation beers), and Luis Wine Bar (also has beer). Pull up Yelp to find the food you’re craving, cause there are too many good options to try and even list them here. And if you make it on any of these amazing trails, be sure to thank Central Coast Concerned Mountain Bikers (CCCMB) who have partnered with all types of trail users to protect and expand the amazing open spaces and trail systems in San Luis Obispo County. Are you a SLO-area trail runner or have you visited the region for the trails? What can be added to Ethan’s thorough guide? Do you have additional trail beta to help folks find and enjoy singletrack? Thank you for showcasing the many beautiful trails in SLO County, the area I grew up in. Those who have lived there know that even words and pictures cannot properly describe the beauty and tranquility of the area. Not much beats sitting on the top of Bishop's Peak and enjoying the 360 degree view on a clear day. If you are like me, and prefer wearing shorts every day of the year, San Luis Obispo is the perfect place to live. Sad I had to move away after college, but that's life. Have never done the Irish Hills/Johnson Ranch trails, so I will be sure to check them out next time I'm visiting!